Just Dance Unlimited is a paid subscription service which was announced alongside Just Dance 2016 at E3 2015. The service allows players to subscribe to a streaming service that allows one to play songs from past games, as well as exclusive songs only available on Unlimited. Each song is streamed directly to your console, with some buffering. Just Dance 2016 also contains Dance Quests which require a subscription to the service. The service returned on Just Dance 2017, where one can expand the Just Dance Machine with Unlimited exclusive dancing routines. The service returned on Just Dance 2018, where selected Unlimited songs could be played through Kids Mode. The service returned on Just Dance 2019, adding difficulty and effort ratings to all of the songs on the service. As of October 23, 2018, new content will only be added to Just Dance 2019. As the service is exclusive to eighth-gen consoles and the Nintendo Switch, it can only be accessed with a Wii U, an Xbox One, a PlayStation 4, a Nintendo Switch, or a PC (the latter with the use of Just Dance 2017). One can subscribe to the service for $4.00 (£2.50) for 24 hours, $4.99 (£3.29) for a month, $9.99 (£7.99) for 3 months, or $29.99 (£19.99) for a year. However, on the Xbox One, the one year pack is only $24.99 and $2.99 for a day. And on the Nintendo Switch, the one year pack is only $24.99. More than 150 songs have been announced throughout a teaser and a scene of a trailer. A (K) indicates that this routine is only playable through Kids Mode. There are currently over 400 songs available in the service. No releases below this line will be available in Just Dance 2016 or Just Dance 2017. No releases below this line will be available in Just Dance 2016, Just Dance 2017 or Just Dance 2018. Note that the 2016 Mashups have no theme, unlike their Just Dance 2016 counterparts, and these mashups do not require a subscription to Just Dance Unlimited. A (2016) indicates that the Mashup is only playable in Just Dance 2016. On December 23, all routines were removed, but were re-added about a week later. A (2017) indicates that the Mashup is only playable in Just Dance 2017. The following Community Remixes are available exclusively for Just Dance 2016 and Just Dance 2017 through Just Dance Unlimited. (2016) indicates this Community Remix is exclusive to Just Dance 2016. (2017) indicates this Community Remix is exclusive to Just Dance 2017. (N/A) indicates this Community Remix was never released. (REMOVED) indicates this Community Remix was removed. Until October 2017, some unreleased routines could be found within the servers of the service. As of October 1, 2017, with the exception of Fatima, these routines have all been removed from the servers. A (JDU2016) indicates that the routine was only added to Just Dance 2016 before it was removed. If one has unlocked any avatars as seen in the songs represented from the service, they will become unusable if the console disconnects from the internet (meaning that an internet connection is required to use the avatars from the service). Additionally, if a dancer profile is using an avatar from the service and the avatar fails to load, a red avatar with a face will appear. Upon initial release, Pound The Alarm’s video was not synced with its audio, with the video running slightly ahead of the audio. This was later fixed. Call Me Maybe and What You Waiting For? appear in the teaser. However, they are currently not available through the service. Additionally, multiple dancers were seen in the trailer but some were not available for the service at the time the service got released as of now. 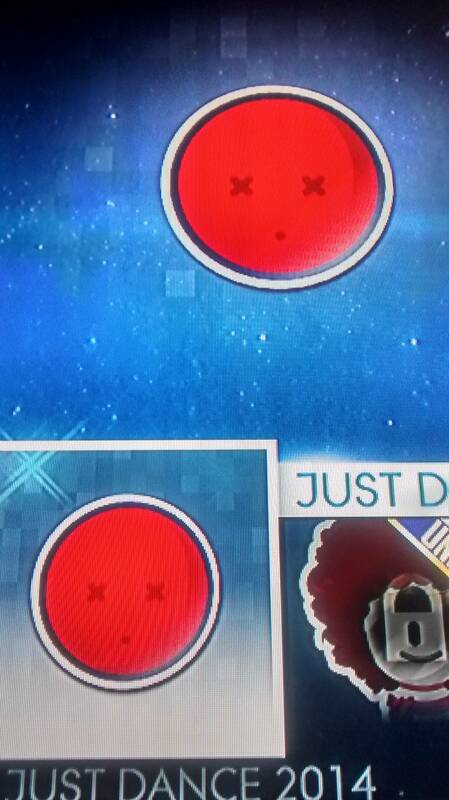 On every Unlimited mashup in Just Dance 2016, the menu square backdrop is purple. Upon choosing a song, the game will buffer a bit of the song before initiating it. Because of this, it's possible for a song to freeze up mid-song due to not having buffering the rest of the song. Whenever this happens, the game will simply freeze up entirely for a few seconds before resuming. It is also possible to get a buffering loop where the game will try to load a bit of the song and then fail and then try to do this in perpetuity. Whenever this happens, a complete console restart is needed to get the game functioning again. When the service was first released, there was a glitch with Miss Understood and Primadonna; after playing either song, their respective avatars would not get unlocked. This was later fixed. From November 25, 2015 until December 2nd, 2015 (GMT), there was a sale where subscriptions for Just Dance Unlimited were 40% off. On a Russian trailer of Just Dance Unlimited, the colors look darker and the routines are not synced with the dances. Any On-Stage Modes that have been released onto the service have been renamed to Sing Along. Some of the songs in the service have bugged Gold Move effects. In the April trailer, the feedbacks look slightly different. When there is a Just Dance Unlimited Community Remix Contest, the song that has the contest becomes a free Unlimited song even if you do not have a subscription. After Taste The Feeling (Olympic Version) had the Community Remix Contest, the song remained available as a free Unlimited track for a month. An unused avatar resembling Just Mario was found in Just Dance 2016’s files. This could have meant that the song could have been either a Uplay unlockable (on the Wii U) or on the Nintendo versions of the service. While playing on Wii U, the game is known to freeze and make a buzzer noise. This has only happened with songs from Just Dance Unlimited. The menu icons from Just Dance 2014 songs that were available on the service at launch retain their glass-like appearance. However, icons for routines that were added after launch had the effect removed. On Just Dance 2017, when the Internet connection is not powerful enough to load the background on the menu, the game shows a striped background with a round shade that can vary its color. 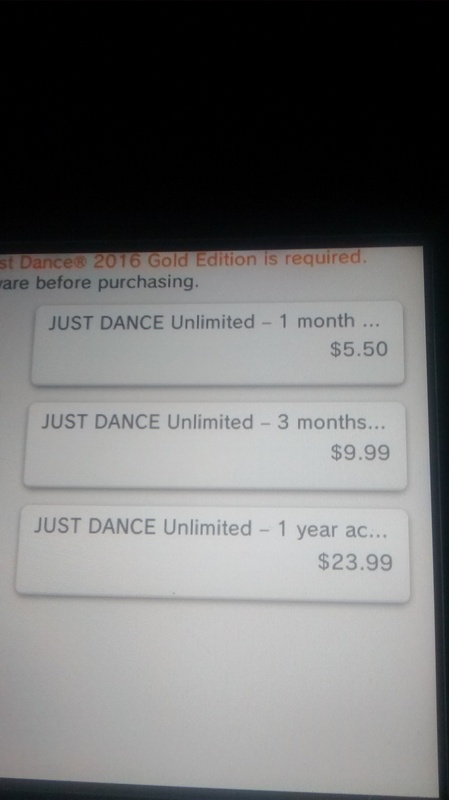 The Mashups of Just Dance 2016 that are Unlimited exclusives do not carry over to Just Dance 2017. Routines falling into this category do not have their respective backgrounds behind the album coach; instead, there is an orange circle with spinning, colorful curves, and the album coach has a show behind. When the song is loading after being selected, the game shows an orange background with yellow geometrical shapes and the writing "JUST DANCE KIDS" in green or blue. When a song from Just Dance Kids is selected through the World Video Challenge menu or seen in the song selection menu via Just Dance 2016, the orange banner on the top left reads "UNLIMITED JUST DANCE 123". This also happens when searching a Kids songs through the Search option. In Just Dance 2018, the banner reads "UNLIMITED JUST DANCE Just Dance Kids". Several covers for songs from the Kids spin-off series have been re-recorded. In other cases (most notably Accidentally in Love and I’m A Gummy Bear (The Gummy Bear Song)), the original version is used. In Just Dance 2018, all songs from the Just Dance Kids series are playable in Kids Mode. The Katy Perry playlist has a bug on Just Dance 2016: the songs will display an "Add To Favorites" option. Clicking it will not do anything because the feature is not present in the game. On Just Dance 2017, the songs in the game-based playlists are listed in alphabetical order according to their code names: for example, Flashdance ... What A Feeling is placed after Waking Up in Vegas because its code name is "WhatAFeeling". On Just Dance 2016, all Community Remixes were removed except for Taste The Feeling (Olympic Version)'s Community Remix on December 23, 2016. The Mashup section was also removed on both Just Dance 2016 and Just Dance 2017, cutting off all access to the Mashups on the disc and on the service. The missing Community Remixes and Mashups were added back as of December 31, 2016. However, on Just Dance 2017, the Mashups were still accessible if the player had added them to their favorites. In April 2017, the banner showing a montage of menu icons from multiple songs from the whole series was replaced by a new one that only showed squares from Just Dance 2015 and Just Dance 2016. On Just Dance 2018, upon attempts to play the Classic version of Turn Up The Love, the game would freeze. This was later fixed. This does not happen via other games. On Just Dance 2018, the lyrics in On-Stage routines are displayed in the bottom left corner of the screen rather than in the top center. The menu banner design for the ABBA: You Can Dance routines is different in Just Dance 2017 and 2018: in the former, it consists of a golden vinyl with the logos of Ubisoft and ABBA: You Can Dance; in the latter, it has the ABBA logo repeated multiple times horizontally and two floating vinyls behind. On Just Dance 2019, some of the previews for the alternate routines are off-sync with the music. On Just Dance 2019, the ABBA: You Can Dance routines are listed to be from Just Dance ABBA: You Can Dance. For a full list of Just Dance Unlimited’s beta elements, see Just Dance Unlimited/Beta Elements. Just Dance 2016 Dance to Just Dance Unlimited exclusive tracks! Just Dance Unlimited 2016, 2017, and 2018 will not get more songs anymore.